Todd Nelson advises clients on regulatory, environmental, and political issues involved in real estate development in California. He represents developers, property owners, institutions, and nonprofit organizations in securing land use, regulatory, and environmental approvals from local and regional governmental agencies. 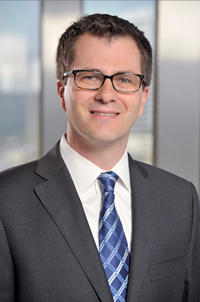 His practice encompasses all facets of land use law, including local planning and zoning regulations, as well as State regulations, including the California Environmental Quality Act, the California Subdivision Map Act, and the California Coastal Act. He has obtained entitlements for multiple major development projects across Southern California, and has extensive experience working with local jurisdictions as well as regional and state agencies to secure project approvals. Todd practiced as a land use planner prior to becoming an attorney, and this background brings unique texture to his practice. He has extensive experience evaluating potential risks of development opportunities prior to property acquisition, developing innovative entitlement and environmental compliance strategies for clients, and successfully guiding projects through the complex administrative entitlement process. Todd received his B.A. with honors in American Civilization from Brown University, his M.A. in Urban Planning from UCLA, and his J.D. from Loyola Law School. He has been named to the Southern California Super Lawyers “Rising Stars” list for 2018.